Cheap technology makes it easy to record your own music. We reveal the sites and services that can help you sell and promote the results. Compressed audio files and the internet have changed the way people buy music, but parallel developments have also changed the way music is performed, recorded and sold. Most significantly, cheap and fast computers and peripherals have brought high-quality digital recording out of expensive studios and within reach of musicians, who can now turn out professional-sounding material for a fraction of what it once cost; regular readers will know that we often cover such equipment and software in our standalone reviews. It’s an exciting time for musicians, who stand to retain greater control over their music and keep more of the income from their own work. Things are still changing, and it’s by no means easy to go it alone, but there are well-established sites and networks to help those who want to try. In this month’s column, we look at how to use these sites and networks to publicize and sell your own gigs and music. It’s important to stress that going it alone is unlikely to be the easiest way to make a success of music; a good manager or record label still has the best contacts and experience to get an act heard and booked. However, the internet does make it possible for smaller, unsigned bands to do more than just sell a few CDs at gigs. With low recording costs and the ability to expose their work to anyone with internet access, a good niche band could earn enough to subsidize their hobby, while the best acts can attract a larger audience and make a living. As with any modern enterprise, the first way to start publicizing a band is by joining some social networks and creating a website. Facebook and Twitter can prove invaluable for communicating with fans about gigs and releases, and for linking up with promoters, festivals, other bands and various other useful sources. 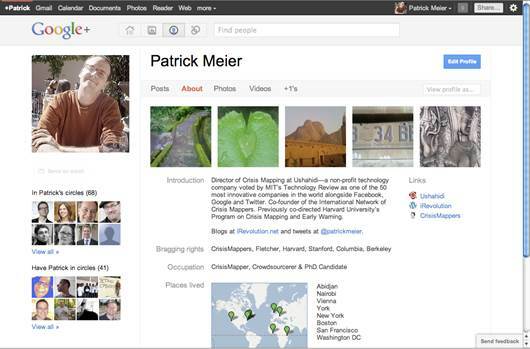 It’s also worth creating a Google+ page, even if it only serves to improve how you appear in Google’s search results. It’s a pain to update multiple sites, though, so decide which you’ll use as your main internet home and make sure that you biography and links elsewhere point to it. You can use widgets to embed Twitter content in your own site, which helps to keep it fresh. Music promotion sites can be vital for building a following and making sales among music enthusiasts, but they’re unlikely to be as effective for reaching the mainstream. That’s more likely to be achieved through music retailers such as iTunes or Amazon, or streaming services such as Spotify. These sites and services account for a hug potential audience, and make your music easy to find for people who may not think to look elsewhere, but there are pitfalls, not the least of which is a loss of control over how your music is consumed. Large sits such as these don’t take submissions directly from artists, instead amassing their catalogue from distributor/aggregators such as Ditto Music, CD Baby or Tunecore. Distributor terms vary, but generally an artist uploads their music and pays a modest subscription to have it distributed to a core package of stores; other sites and features are usually available as bolt-ons. As an example, Ditto Music charges $32 to distribute an album to 20 major download and streaming platforms and, from the second year, $23 annually to keep it there. Artists keep their rights and royalties in this arrangement. Whether it’s worth doing this depends on your band, budget and ambitions. Although $23 a year isn’t much, there’s no guarantee you’ll make it back in royalties. For each track sold on iTunes, artists receive around 60p (depending on the territory of the sale), typically several months later. 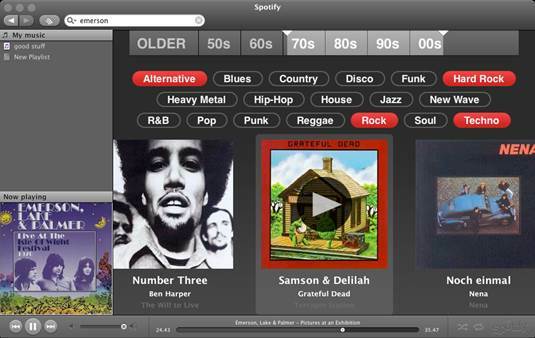 Streaming plays generate far less income; Spotify pays only around 0.0002p per play. Still, while having your music available to stream could make people less inclined to find your site and buy it from you, it helps expose you to the biggest possible audience, and opens up possibilities such as being included in blog’s or critics’ Spotify playlists. Attracting fans and becoming successful is still the hardest trick to pull off. It depends on hard work, plugging and shameless self-promotion and, more often than not, luck. Being on social networks, having a website and making sure people can find at least some of your music is a start, but you need to give them a reason to come looking. One obvious way to win fans is to play live, supporting and cultivating relationships with promoters, venue managers and other bands – you never know when they’ll need a support act or will put in a good word for you. Search for small festivals looking for unsigned bands; they’re unlikely to pay, but it could be great exposure. Give out cards or flyers at gigs, including web addresses and details of releases or live dates, and always bring CDs to sell. There’s no harm in contacting national music sites and specialist stations such as BBC Radio 6 Music, but smaller bands will get further by contacting local music magazines and bloggers. Provide a link to your music online and offer free downloads; with Bandcamp, you can create single-use download codes and check later to see if they’ve been sued. Sites will want a short bit of blurb about the band and the date and location of a few gigs. 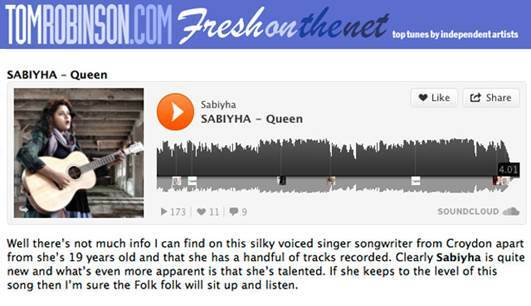 So many blogs focus on different music and regions that it’s impossible to provide a meaningful list, but it’s worth submitting music to the Listening Post on Tom Robinson’s www.freshonthenet.co.uk as better submissions are offers up for discussion. The site is also full of guides and resources to help you make the most of your talents and avoid wasting time or money on dead ends and distractions. Music sales sites such as Bandcamp.com wouldn’t work if fans couldn’t listen to your songs before deciding to buy. Sadly, wherever content is streamed, it could be ripped off by unscrupulous users, possible to resurface as free downloads or ringtones elsewhere. It’s hard to prevent this happening, but it pays to keep a look out for it: set up Google Alerts (www.google.com/alerts) for your name and releases to keep tabs on where they’re showing up online. This will help you see what people are saying about you, and could show you when sites are infringing your copyright. Keen fans may keep their eyes open on your behalf. Reputable sites such as YouTube have takedown policies to deal with unauthorized posting, but be wary of using them to deal with tributes or bootlegs; it’s best to embrace them in good humor. Less-reputable sites that are reproducing your content may respond to a polite request. If you get nowhere, you could ask Google to remove the relevant pages from its search results; see http://tinyurl.com/GoogleContentRemoval for details.